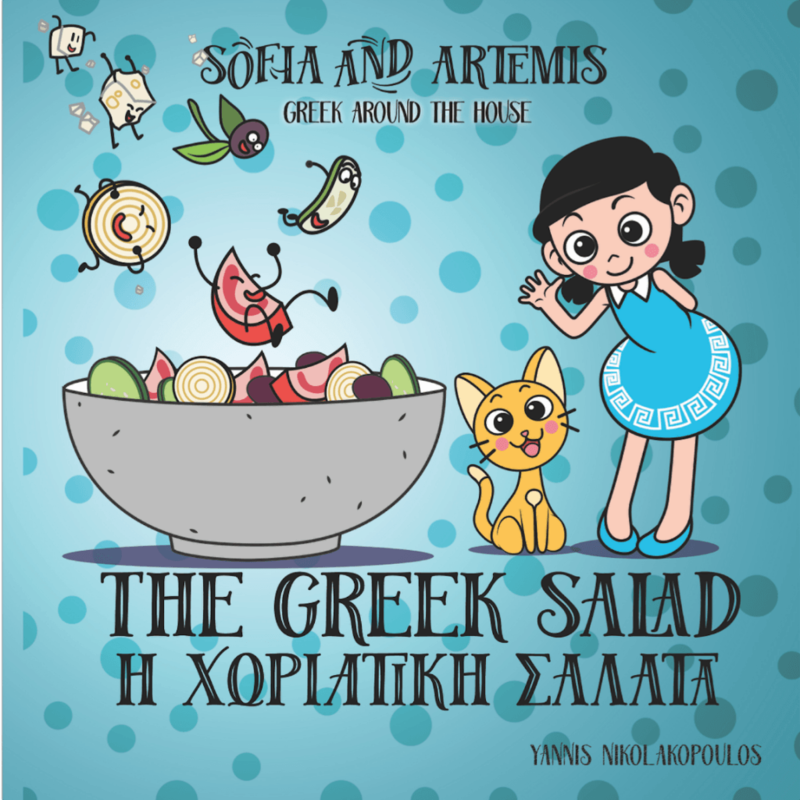 The Greek Salad is an adventure in the kitchen that teaches kids their first Greek words using fun stories, characters and games. By placing the included stickers in your kitchen, you can continue the lesson and effortlessly integrate Greek into your child’s life. 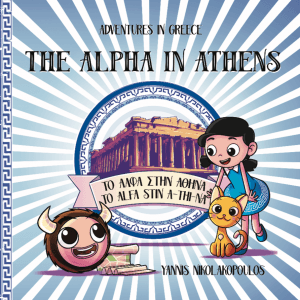 Written inline in English, Greek and Greeklish, no knowledge of Greek is needed for a parent to read the story in Greek to their children, and as the child grows into being able to read themselves, they can also discover the language without prior knowledge of the Greek alphabeτ. 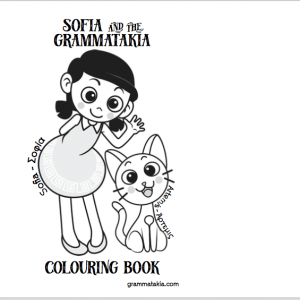 Today is Sofia’s name day and her cousins are coming to visit. She has to prepare a salad, but all the ingredients are busy in the Olympic games! 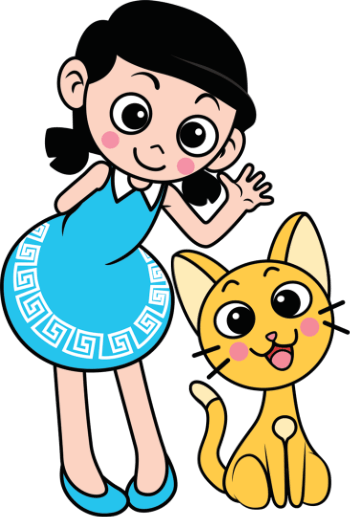 Can she and Artemis her cat make the salad in time? By placing the included contextual learning stickers in your kitchen, you can continue the lesson and effortlessly integrate Greek into your child’s life. Written inline in English, Greek and Greeklish, no knowledge of Greek is needed for a parent to read the story in Greek to their children, and as the child grows into being able to read themselves, they can also discover the language without prior knowledge of the Greek alphabet.